Why did George H.W. Bush and his cabinet determine that John W. Hinckley Jr. — the man who in 1981 tried to kill the newly inaugurated President Ronald Reagan — was a lone nut, and no conspiracy, foreign or domestic, was involved? How did they arrive at this conclusion just five hours after the shooting, without any thorough examination? And why won’t the Federal Bureau of Investigation release its documents on the shooter? Hinckley, who was released from a federal psychiatric facility on August 5 after 35 years, remains a mystery, and that’s the way the government prefers it. Among the documents the Bureau withholds are those that reveal organizations linked to him — and the names of his associates. One noteworthy individual will not even acknowledge knowing of Hinckley beforehand, someone associated with the shooter’s family, and an even longer history of dissociation — George H.W. Bush. Most Americans have never heard about this — and even those who have will be intrigued by some little-known aspects. One is the rather unique way the Bush clan has dealt with or sought to dismiss such peculiar situations — and this is hardly the only one in which the family has been enmeshed. Here’s an amazing example: Bush Senior, known to family and friends as “Poppy,” claimed he could not remember where he was when he heard that President John F. Kennedy had been shot. I discovered a good reason why he should have remembered — because he, himself, had been in Dallas that morning. I learned this while researching the Bush dynasty for what would become the book Family of Secrets. I came upon one odd “coincidence” after another, weird ones that would make anyone’s eyebrows soar. I also saw an FBI memo showing that the man who would later become Bush 41 had secretly called the FBI shortly after the shooting of President Kennedy with information on a man he said might be involved. It turned out that not only was the man not involved, but that Bush knew him personally — and even, via a subordinate, gave the man an alibi. I also learned that Poppy Bush was a longtime acquaintance/friend of George de Mohrenschildt, the mysterious Russian “baron” who was perhaps the closest person to Lee Harvey Oswald in the year before Kennedy’s death. Imagine my interest when I learned of de Mohrenschildt’s connections to American intelligence — and then that Bush Senior himself had covertly served the CIA for decades before being named CIA director as a purported “outsider” in 1976. Indeed, he’d been secretly mucking around with the spy agency before, during, and after Kennedy was killed. The CIA, of course, was later revealed by the Senate’s Church Committee investigation to be in the business of arranging the removal — or even the murder — of national leaders in various parts of the world. Imagine my fascination, then, to learn that John Hinckley Jr., the man who shot and nearly killed President Ronald Reagan in 1981 — an attempt which, if successful, would have resulted in then-Vice President George H.W. Bush moving up to the top spot — was none other than a friend of the Bush family. How strange is that? So strange that it literally caused NBC News’s anchor John Chancellor’s eyebrows to arch as he reported the curious connection. The story was broken by the now-defunct Houston Post, and then picked up briefly by the AP and UPI wire services, and some newspapers, plus Newsweek. Then it vanished without a trace or further inquiry or comment in the mainstream media. The story was so baffling and off-putting that even I, in writing Family of Secrets more than a quarter-century later, did not mention it. I was preparing to publish a book with so many shocking elements that the publisher and I worried about whether the mainstream media would even dare cover it, or review it fairly; in that context, the Hinckley-Bush connection seemed one provocation too far. Fast forward to early August of this year, when news came that a federal judge had ordered John Hinckley released from captivity. Hinckley had already been granted partial freedoms over the years, including extended stays with his family outside the mental facility where he has been incarcerated. But now he is effectively “out,” albeit with some supervision. Word of Hinckley’s release was met with pregnant silence, including from entities and individuals that bray about “law and order” — who routinely support jail time with no possibility of parole for all manner of individuals, particularly the poor and the unconnected. The Hinckleys were donors to Poppy Bush’s political campaigns over the years, and they gave to support the first, unsuccessful bid for Congress of the young George W. Bush, in 1978. The families lived close to each other, they socialized; I saw indications that, at one point, they may have shared the same lawyer. Even more strangely, Neil Bush, son of the vice president, was scheduled to have dinner with Hinckley’s brother, Scott, the day after the shooting. The shooting took place on Monday, March 30, 1981. Neil and his wife, Sharon, were to have dinner with a girlfriend of hers who brought along Scott Hinckley as her date. Scott had supposedly been invited to round out the foursome. Neil and his wife, and Scott, all lived in Denver at the time. Scott’s father’s oil company, Vanderbilt Oil, had its headquarters in Denver at that time. Scott was a company vice president. 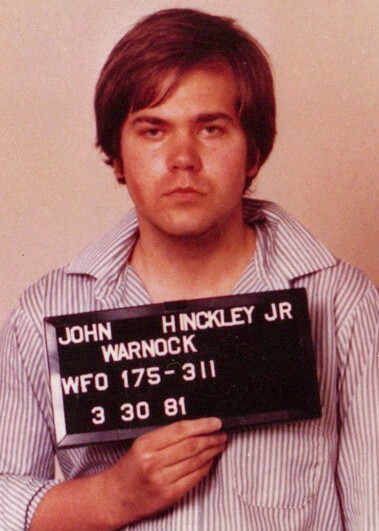 Meanwhile, the shooter, John W. Hinckley Jr., lived from time to time with his family in a small town outside Denver. In fact, at the time he shot Reagan, he was living with his parents. This put Neil Bush, the senior Hinckleys, Scott Hinckley, and would-be presidential assassin John W. Hinckley Jr. in close quarters over an extended period. Neil might reasonably have been aware that John Jr. was having serious problems, and was in psychiatric care. And — given the Bush family’s politically-driven strategy of tracking and staying in touch with huge numbers of family friends and acquaintances, plus a fondness for sharing the doings of their network among themselves — the probability that Neil would have relayed to his parents John Jr.’s mental problems, and psychiatric treatments, is not remote. In the fall of 1980, Hinckley was arrested at Nashville airport carrying three guns on the very day that then-president Jimmy Carter arrived in that city. (He is believed to have been stalking Carter, against whom the Reagan-Bush ticket was locked in combat) He was neither fingerprinted nor charged. Notwithstanding the commonness of guns in Tennessee, once he was in custody, nobody seems to have discovered his troubled background and psychiatric problems or expressed any concern that a gun-toting non-local was arriving in the same city at the same time as the president. In late 1980 and early 1981, Hinckley was also stalking the actress Jodie Foster. He said that he had been hearing “voices” in his head — and became convinced that he and Foster had a special bond. Interestingly, notes by Hinckley describing a conspiracy to assassinate a president were found in a search of his prison cell, according to Breaking Points, a memoir written by his parents. They said the notes referred only to “an imaginary conspiracy” and his lawyers dismissed them as far-fetched. They have never surfaced publicly. The FBI declined to release 22 pages of documents that included the names of associates and organizations linked to Hinckley, and details of his finances..
Congressional hearings in the 1970s revealed the existence of MK-ULTRA and these mind-control programs. Five years before the Reagan shooting, at the time of those hearings, the new CIA director was…. Poppy Bush. Of course, the issue was not what the British-born Teeley knew, it was what his boss knew. Asked whether Bush had mentioned knowing the Hinckleys, Teeley replied that the veep “made no mention of it whatsoever.” So there we have it: no actual comment from Poppy Bush himself. Neil Bush, at a press conference the day after the shooting, did admit to one connection with the Hinckleys: he mentioned, in passing, that Scott Hinckley had also been at his house a couple of months earlier, at his surprise birthday party. Ostensibly he was there as the “date” of the same “close” female friend who was scheduled to dine with the Bushes the day after the shooting. The apparent use of the woman friend of Sharon Bush to explain any connection between the families, despite an already existing direct connection between the families, warranted more attention. In any event, no evidence has ever surfaced that any of the Bushes were so much as questioned about their relationship to the Hinckleys by the FBI, Secret Service, or any other entity, and no investigation, informal or formal, appears to have taken place. Thus, the Haig story became a sensation, and successfully distracted just about everyone from the weird Bush-Hinckley connection. In any case, although Reagan survived, Bush for a time served as de facto president — and after Reagan’s resumption of “power,” Bush remained an astonishingly influential vice president, to many, the real power in the country in many respects ever after. Around the time of the shooting of Kennedy in Dallas, the Hinckleys were operating out of Dallas, with offices in the Republic Bank Building, a tower which housed many entities and individuals connected by varying degrees to intelligence activity, including the offices of the mysterious Russian “baron” George de Mohrenschildt (an old friend of George H.W. Bush), who was perhaps the principal influence in the life of Lee Harvey Oswald in the year leading up to the shooting of Kennedy. In 1978, not long before Poppy Bush’s presidential bid, his son George W. was making his first bid for elective office (with donations from the Hinckley clan). 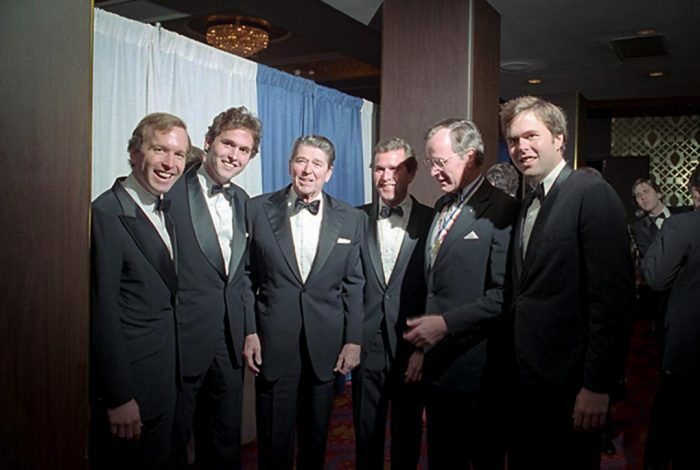 Neil Bush was W’s campaign manager, living in the city of Lubbock. Another person living there at that time was… John Hinckley Jr. Asked about that by a newspaper reporter, W. commented that it was “conceivable” Neil would have met Hinckley during that period. Was there any follow-up? Did Bush ever seek to learn more about Hinckley or explain what ways they were or were not acquainted? Not that I can find. And then there is this: The very day that Reagan was shot, the Reagan-Bush Department of Energy notified the Hinckley family at Vanderbilt oil that the government might be forced to penalize the family business to the tune of $2 million. 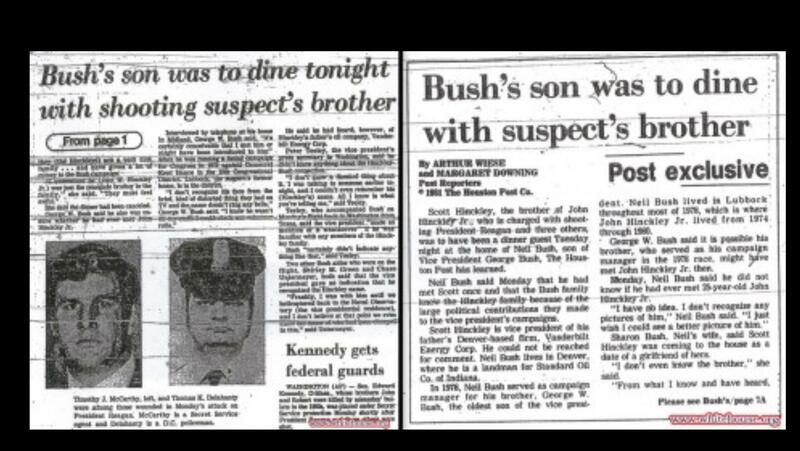 (AP, April 1, 1981) Was Scott coming to dinner with Neil to try to sort it out? Whatever happened, after John Hinckley shot Reagan, the penalty never materialized. Neil never did provide a more satisfying explanation of why the shooter’s brother was coming to his house for dinner than that he was filling in as a date for a friend of his wife’s. But who had suggested the dinner in the first place, and who had recommended Scott be one of the foursome? That remains murky. As Art pointed out, even a slight Bush connection in this shooting could set off the conspiracy freaks.”…. We all went into the VP’s office, where Pete related the story that Wiese had been working on and which was being played big in Houston and over the wires. GB appeared only mildly concerned, so little in fact that he didn’t think to call Barbara or ask any of us to do so. This should have been one of the most investigated, most heavily reported stories for years after. Certainly, in contrast to the email scandal, Benghazi, Travelgate, and other complex and somewhat esoteric matters that became media rages, lasting on and on and dominating the public conversation, this peculiar Hinckley matter — which by any measure passes all the tests for something worthy of interest by law enforcement — just vanished. Even when Neil Bush’s involvement in the massive Savings and Loan collapses that dominated headlines in the 1980s was widely reported, no mention was made of the fascinating Bush-Hinckley connection. To sum up: John W. Hinckley’s brother attends a surprise birthday party at Neil Bush’s house in a period when John Hinckley was suffering serious mental problems. The government exerts financial pressure on the Hinckley family business. Hinckley shoots President Reagan, nearly making Neil Bush’s father the president. The financial pressure on the Hinckleys disappears, George H.W. Bush is in charge of the “investigation” of the shooting, the Hinckleys chalk it all up to their son’s demons, everyone focuses on Jodie Foster, and that’s the end of that. Coincidence? Sure. Anything, after all, is possible. Why did George H.W. Bush and his cabinet determine that John W. Hinckley Jr. — the man who in 1981 tried to kill the newly inaugurated President Ronald Reagan — was a lone nut, and no conspiracy, foreign or domestic, was involved? How did they arrive at this conclusion just five hours after the shooting, without any thorough examination? And why won’t the Federal Bureau of Investigation release its documents on the shooter?